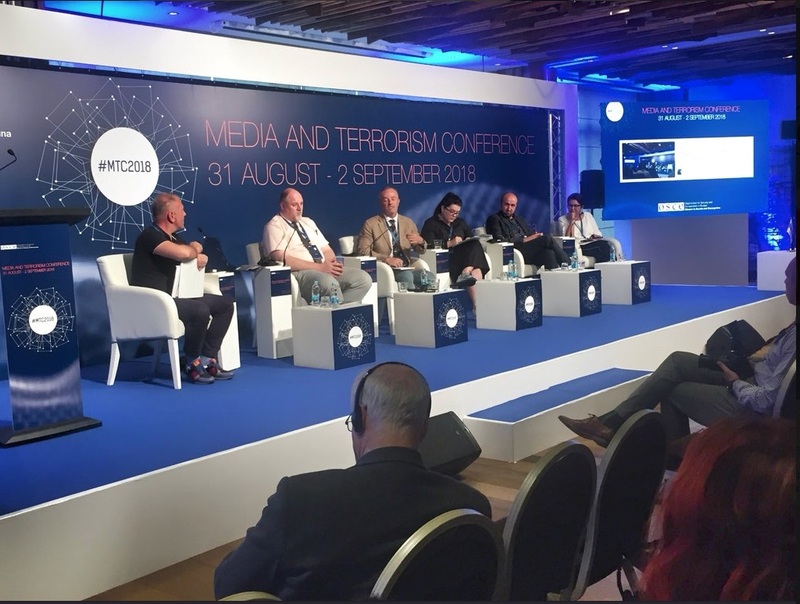 The conference brought together over hundred journalists and media professionals to discuss professional standards related to reporting on terrorism and violent extremism. As Bruce G. Berton the head of the OSCE mission in the country noted, while news about these topics draws a lot of attention and outlets are expected to publish or air it as quickly as possible, it is up to media to avoid sensationalism in the process. The age of social media had put even greater importance on reporting professionally and responsibly on violent extremism and terrorism. Unnamed and non-credible sources are one of the dangers for spreading propaganda. Adhering to ethical standards such as truthfulness, independence, objectivity, empathy and responsibility are key principles in reliable reporting about terrorism and terrorist attacks, said Aidan White, president of the Ethical Journalism Network. Marija Ristic, BIRN’s Regional Director, who spoke about reporting on violent extremism in Serbia, stressed that media often respond to the dominant narrative in society. Reporting on the topic in Serbia is overly tabloid with sensationalistic content, almost no sources, and often alarmist in tone, emphasising Islamic radicalization, Ristic said. But Serbian media takes a completely different tone when reporting on Serb fighters serving with pro-Russian forces in Ukraine, when its dominant narrative is one of “support for our Russian brothers” and a “justified struggle”, she added.